Stuffed with herbs and Moroccan lemons. 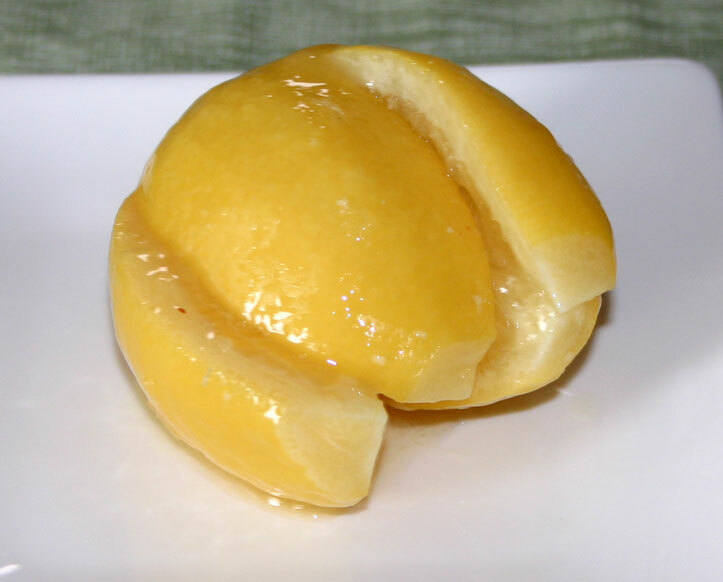 Moroccan lemons are lemons that have been preserved using salt. They are very easy to make, but you can also purchase them. 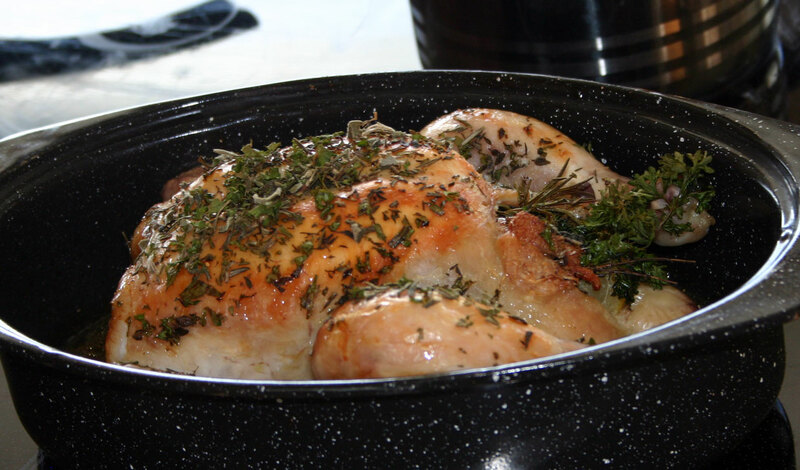 The lemons add both a salty tang and a lemon flavour to the chicken. This recipe is 100% AIP compliant. The first thing you need to do is to take half of a preserved lemon and rub it all over the skin of the chicken. Then stuff the lemon up inside the cavity. Drizzle the skin of the chicken with olive oil and sprinkle with sea salt. 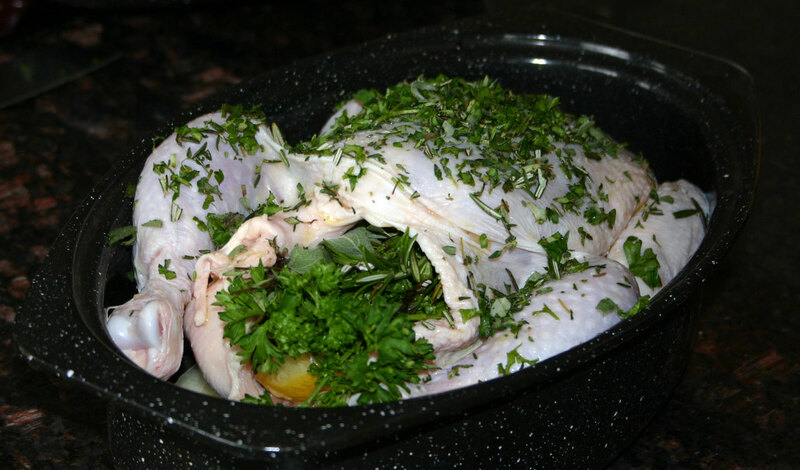 Place the garlic cloves, bay leaves, half of the rosemary, sage, thyme and parsley inside the cavity. Chop the remaining herbs finely and sprinkle over the chicken. 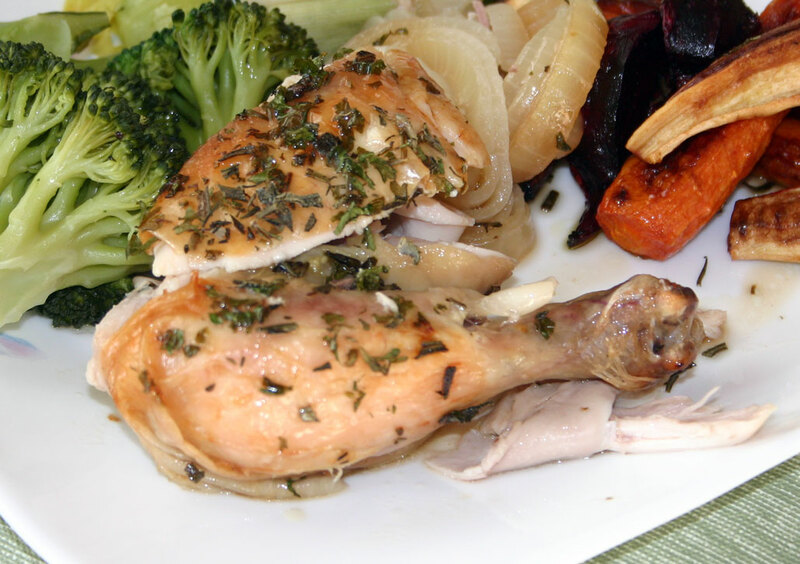 Sit the chicken, breast side up, in a roasting tin, and roast in a 350°F oven for 20 minutes per lb until the chicken is cooked and the internal temperature is at least 165°F when measured with a meat thermometer. Allow the chicken to rest for 10 minutes before carving and serving. 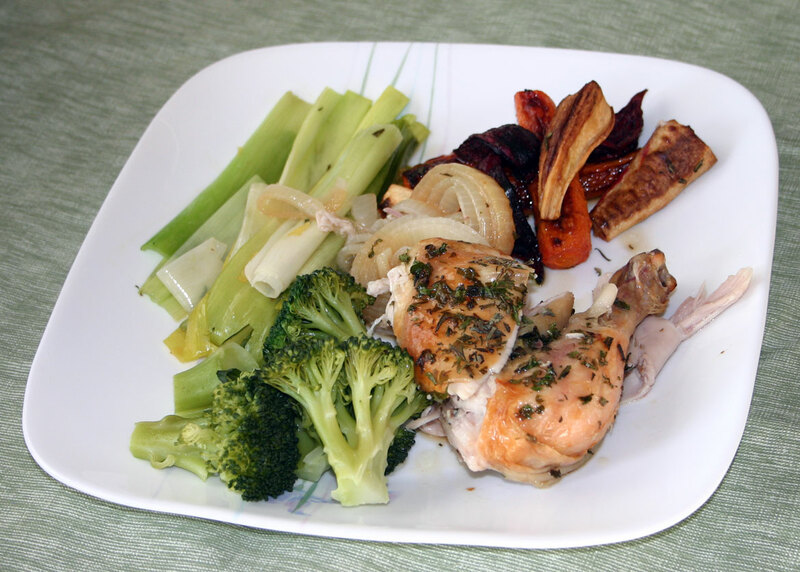 I served this chicken with some rosemary roasted root vegetables, steamed broccoli and lemon and thyme braised leeks.